Nine is a fast-paced nail-biting story of a compulsive decoder Ila Sharma who is chased by the evil and the good to uncover a thousand years old powerful Indian mystery that can alter the world. A beautiful teenager, stubborn compulsive decoder, National puzzle champ, is a magnet for troubles due to her gifted skills. An agent with a Bond-like talent, attitude, and skill is given the task to protect Ila Sharma from the lurking unknown danger. Everyone is chasing to solve this eye-popping mystery to own the secret it protects. Read how Ila and the agent steer from one problem to another unknown danger, fighting to not fall in love and finish the fate-altering mission. 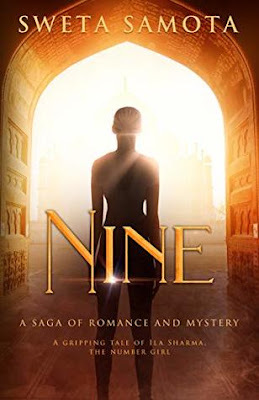 Nine is one such journey that will have you biting your nails or gasping for breath but one that you cannot abandon till all the pieces of the jigsaw fall in place. Read this absolute page-turner story! 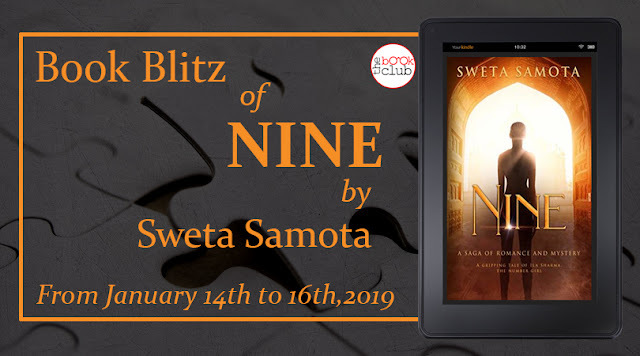 Sweta Samota (Ex Senior Engineer, B.E. Computers and PGDMM) is an Indian novelist who writes romance, mystery and thriller. She also conducts creative writing workshops. She is a Writer, Authorpreneur, Thinker, Speaker, Runner and a ChangeMaker. Won The Story Award by SheThePeople.Tv in Flash Fiction.